Depart at 00.00 from Surabaya then transfer you to Cemoro Lawang and drive by 4WD to Mount Penanjakan/Kingkong Hill to see sunrise. 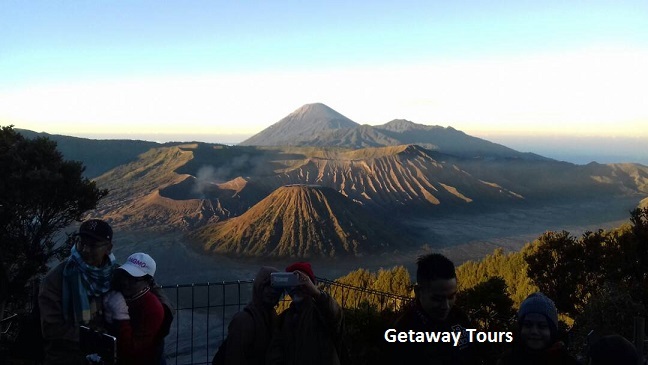 Afterwards and then drive through sea of sand to climb Mt Bromo to its crater rim which takes about 30-45 minutes. From Mount Bromo peak you can see Bromo crater. Breakfast at local restaurant and then drive about 5 hours to Ijen Area. Check in. Note: If you do not want to see Blue Fire you can depart at 04.00 am from hotel to Ijen Crater.